BRUCE FEILER is one of America's most popular voices on family, faith, and survival. He writes the "This Life" column about contemporary families for the Sunday New York Times and is the author of five consecutive New York Times bestsellers, including WALKING THE BIBLE and THE COUNCIL OF DADS. 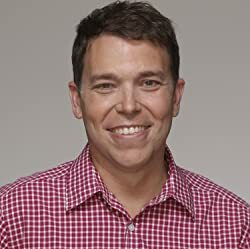 He is the writer/presenter of the PBS series "Walking the Bible" and the forthcoming "Sacred Journeys with Bruce Feiler." His latest book, THE SECRETS OF HAPPY FAMILIES, is a bold playbook for families today. It collects best practices for modern-day parents from some of the country's most creative minds, including tops designers in Silicon Valley, elite peace negotiators, the creators of Modern Family and the Green Berets. His most recent bestseller, THE COUNCIL OF DADS, is the international sensation that describes how faced with one of life's greatest challenges, he asked six friends to form a support group for his young daughters. The book was profiled in PEOPLE Magazine, USA Today, Time, and the Washington Post, and was the subject of a one-hour documentary on CNN hosted by Dr. Sanjay Gupta. Bruce was named "Father of the Year" by the National Fatherhood Initiative. Since 2001, Bruce has been one of the country's preeminent thinkers, writers, and speakers about the role of religion in contemporary life. WALKING THE BIBLE describes his perilous, 10,000-mile journey retracing the Five Books of Moses through the desert. The book was hailed as an "instant classic" by the Washington Post and "thoughtful, informed, and perceptive" by The New York Times. It spent more than a year and a half on the New York Times bestseller list, has been translated into fifteen languages, and is the subject of a children's book, a photography book, and a miniseries on PBS. Please enter your email address and click the Follow button to follow Bruce Feiler!